Eleven exercises on the topic:useful words and phrases, riddles, a dialogue, the text and true or false statements,guess the device, describe your favorite thing.Key is included. Thank you!!! This downloadable handout is meant for high school students, elementary school students and adults at Elementary (A1), Pre-intermediate (A2), Intermediate (B1), Upper-intermediate (B2) and Advanced (C1) level. 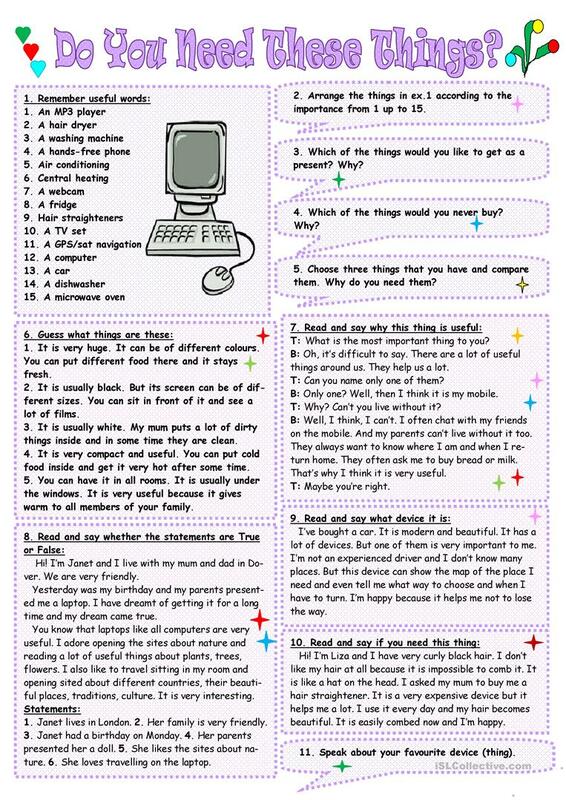 It is a valuable material for working on your learners' Speaking and Reading skills. It focuses on the theme of People. The key is provided, too.